I'm finally done with my finals. This is probably the last time that I will have to take academic classes. I'm back to research and currently in the process of writing my thesis. I found a great-looking soup on My Tasty Treasures, a blog that I regularly follow. One that caught my eyes was the Italian Wedding Soup. At first glance, it looks like a strange name to give for this dish. 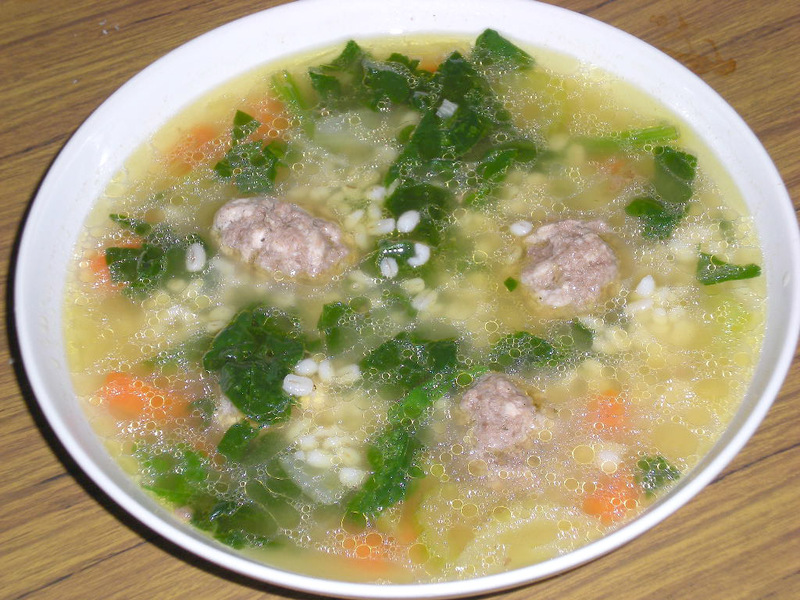 It seems to be an Italian mistranslation, Married Soup, which refers to the combination of green vegetables and meat. 1. In a medium pot, add barley and 5-6 cups water. Boil over high heat and simmer fo 30 mins. Set aside. 2. 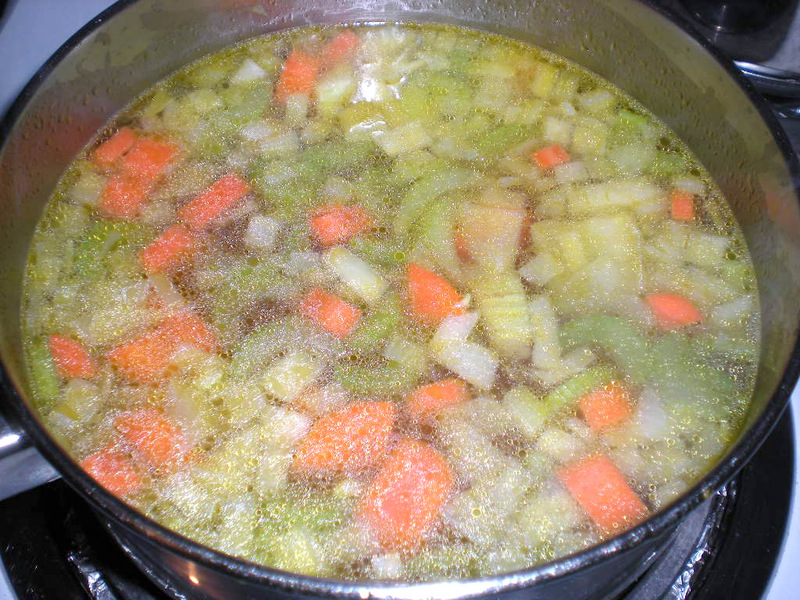 In a large soup pot, cook carrots, celery and onions over medium heat, about 5 mins. Season with salt and pepper. Add broth and keep it hot. 3. In a bowl, combine meat, egg, garlic, parmesan, bread crumbs, salt and pepper. Shape into meatballs and add it into the soup pot. Cook until all browned about 10 mins. 4. Add in spinach and pearl barley to the soup pot. Cook until spinach changes color. Serve. Such a tempting soup, thanks for sharing..
Congrats on finishing your classes! I finished my PhD seminars last year and I remember being both really happy (I was exhausted), but also a little scared. "I'm... never going to be graded ever again?!" That soup looks really comforting! I've seen this soup before, but haven't tried making it myself. Thanks for the recipe, the soup looks fantastic!